Candidates who opt-in with their mobile phone number can receive text messages from ATS users. Selecting the green speech bubble next to their basic information will begin the conversation! Text messages sent from the ATS use a generic phone number and are free to send & receive! 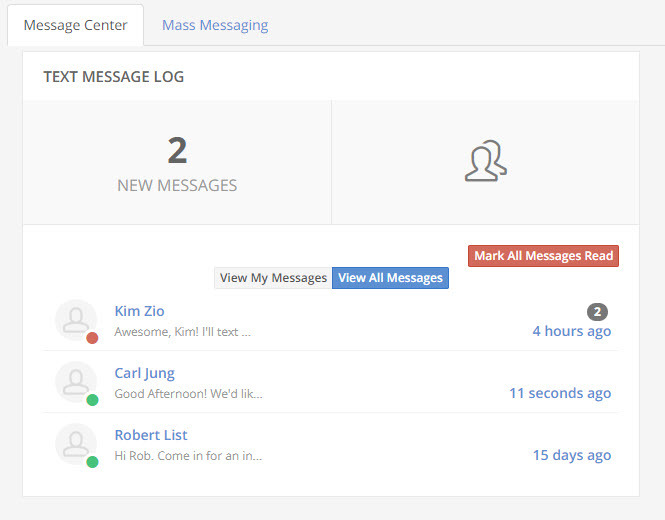 The message center manages all texts that were sent & received. View your own messages or other ATS user communications. 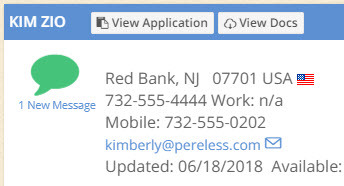 Learn more about sending text messages to multiple candidates here. 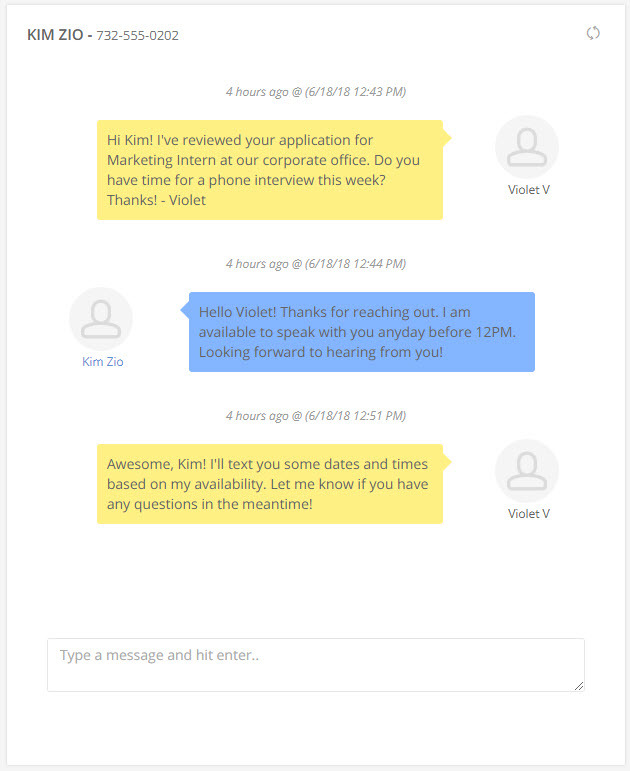 Are you ready to upgrade your recruitment software with free text recruiting?